A response essay is intended to voice out your own personal response or reaction to a piece of work of another author – writing, video, reading assignment, special event, or other form of media. It is a way of giving your own reaction or how you feel about a certain piece of work or current event, rather than convincing the reader or other people. It is more about discussing your personal thoughts and feelings on a particular subject. A response essay is also a way of expressing your viewpoint and how you personally feel about the said subject or event. And here are the steps on how to write a response essay. Before you start doing the response essay, you must first complete the reading or the video, or go to a particular event, depending on the topic that you are required to give your reaction. While reading or viewing, or attending the said event, jot down your thoughts so you will not get lost when you already started writing the essay. Make an outline of your response essay by writing down your answers to a few questions. Like how did you feel about what you have just read or viewed, and what is your opinion. In this way, your response essay will be more organized. You can start your essay by stating your reaction in the introduction. You can then defend your reaction and give an explanation to your opinion in the body. 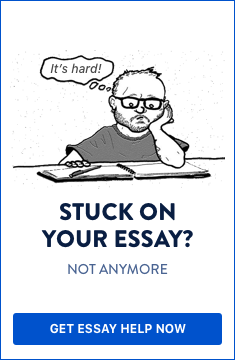 The body of your essay should expand your thoughts and feelings against the author’s findings of his own piece of work. There may be a similarity, but there will always be a difference. Each paragraph should begin by stating the beliefs and thoughts of the author on the subject. It should then be followed by your own beliefs and thoughts on the said subject. Your own findings and explanations must be supported with evidence such as quotes and other studies or events. You could also cite references by using footnotes. Conclude your response essay by summarizing your reaction and how the the whole piece of work affected you. If your reaction is still the same, explain why. If it has been changed, then clarify why. Don’t forget to write your essay in the first person since you are discussing your own personal feelings to a particular issue. A response essay is meant to describe your side on whether you agree or disagree with a particular topic. Keep in mind that one sign of a poor writing is redundancy. So, as much as possible, be sure to restate your thoughts and opinion that you have already raised in some parts of your essay. But with these tips on how to write a response essay, you will surely not find it hard to do the writing.